This 10,000 s.f. 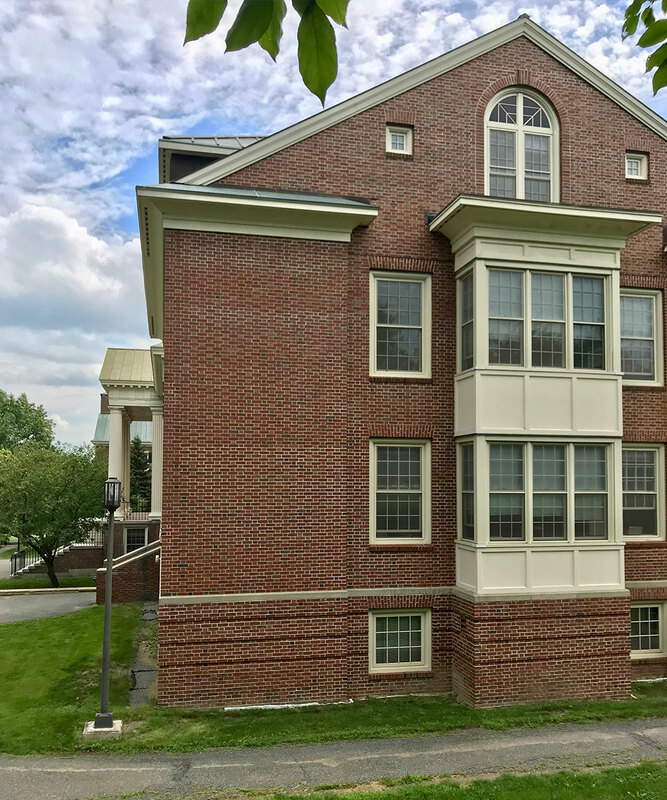 addition to an existing social studies building on the quad houses faculty offices. 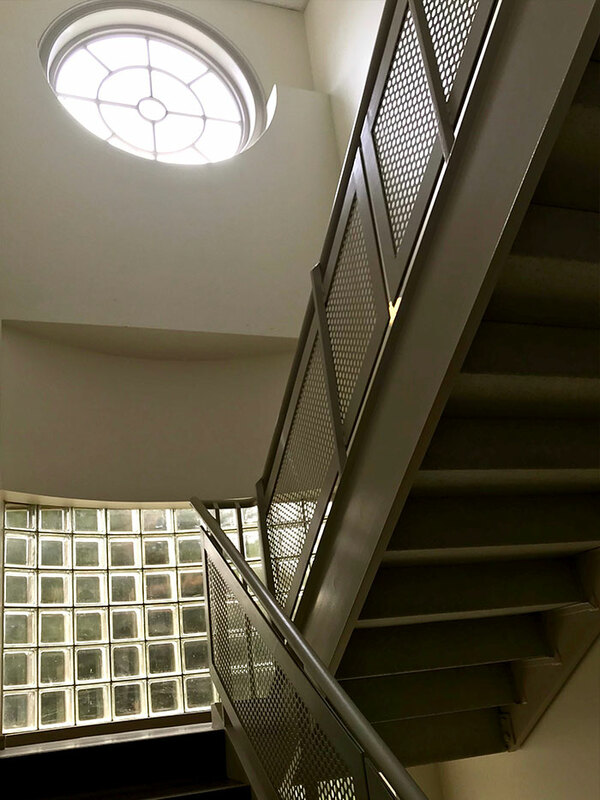 The small program area was stacked over four levels to maintain the typical building height around the academic quad. This allowed the addition to match the existing building’s gable roofline. 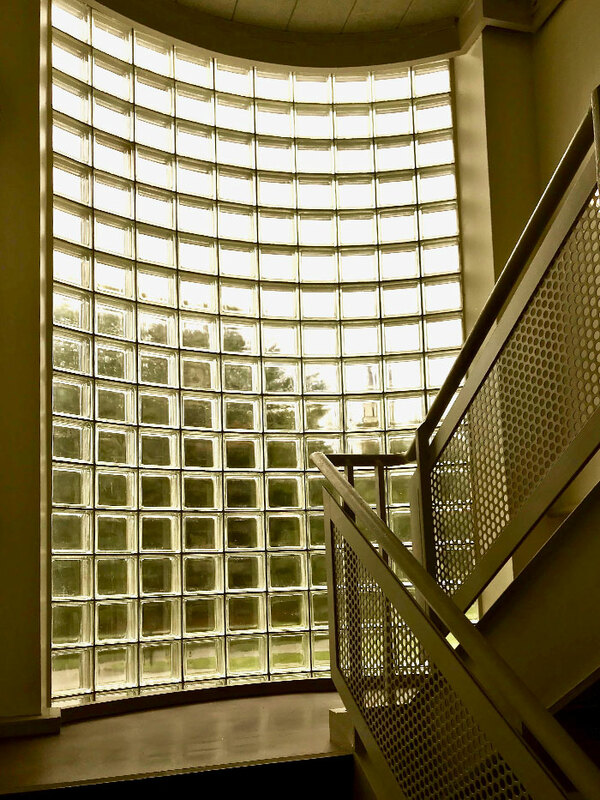 The plan provides four offices at each floor level as well as a stair and elevator. 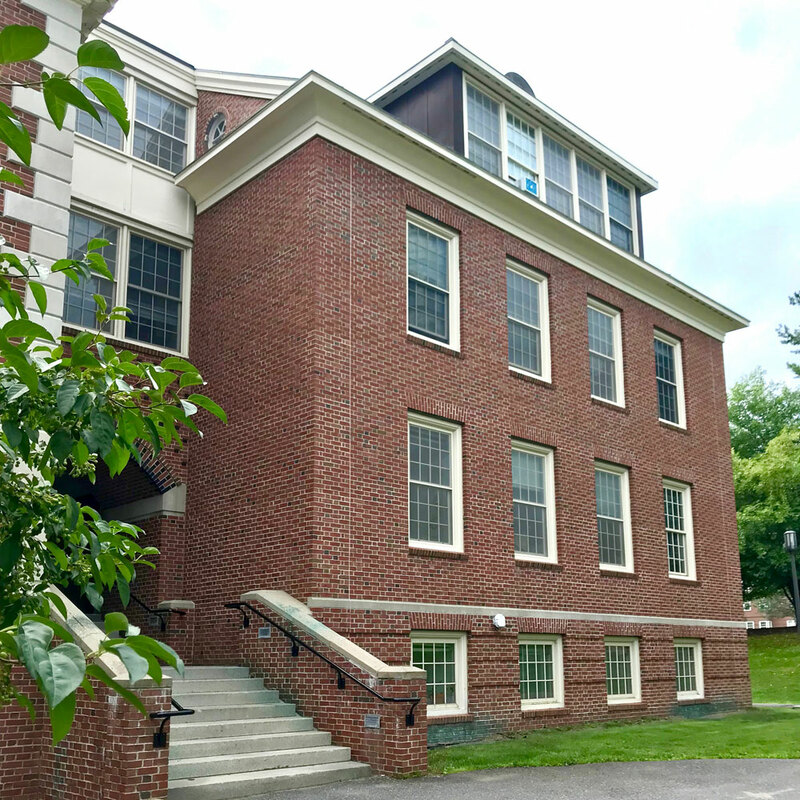 To preserve the corner details and adjacent windows of the existing building, the primary gabled volume is separated from Lovejoy Hall by a narrow connector. 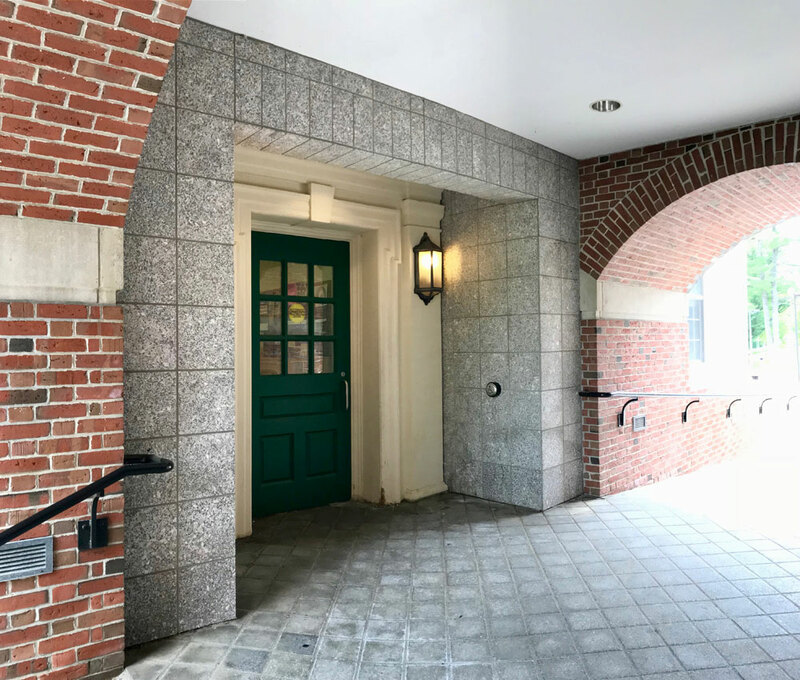 At the main level, the connector features two masonry barrel vaults which form an entry porch serving both the addition and original building. This accessible entry is accessed via a ramp from the south and a stair from the north. The spaces at the floors above the porch feature window walls to further emphasize the separation of the new gabled back volume.